Partner training is one of the best – and most fun!—components of martial arts or martial arts fitness training. It gives both parties an opportunity to work on distance and timing. It’s also a great way for trainers to work one-on-one with their clients, for a workout session that’s much more personalized. Don’t get me wrong, heavy bags are amazing, but there are a couple of things they just can’t do. Like yell at you to keep your hands up, and then smack you upside the head when you don’t. Or let you know that there are only 30 seconds left in the round, so those next thirty seconds of punches need to be the hardest, fastest ones you’ve ever thrown in your life. Of course, partner training does take some extra equipment (participants aren’t going to punch and kick each other, after all). 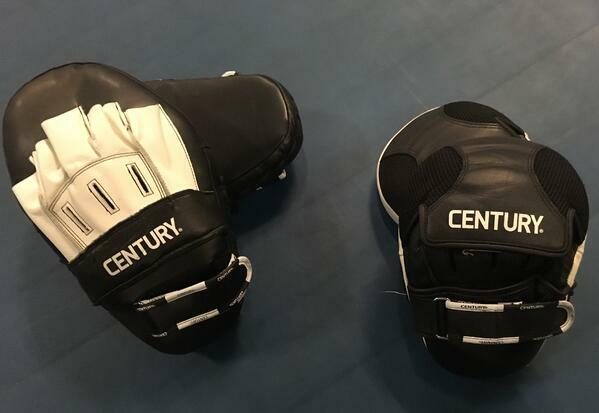 If you’ve watched partner training, you’ve probably noticed two distinct kinds of gear used by the holder (non-striking partner): Thai pads and focus mitts (also called punch mitts). 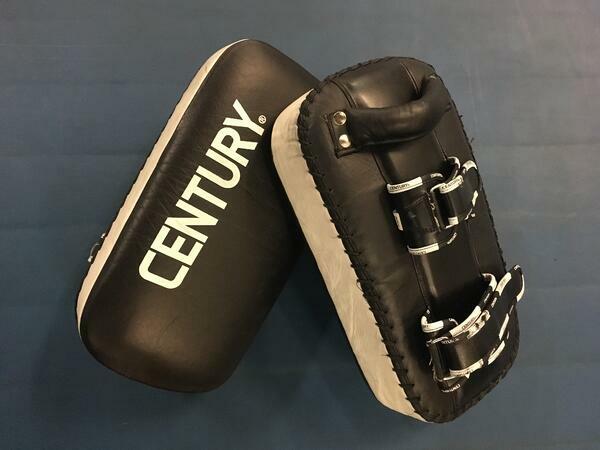 Called “Thai pads” for their common use in muay Thai, or Thai kickboxing, these pads are also great for cardio kickboxing. 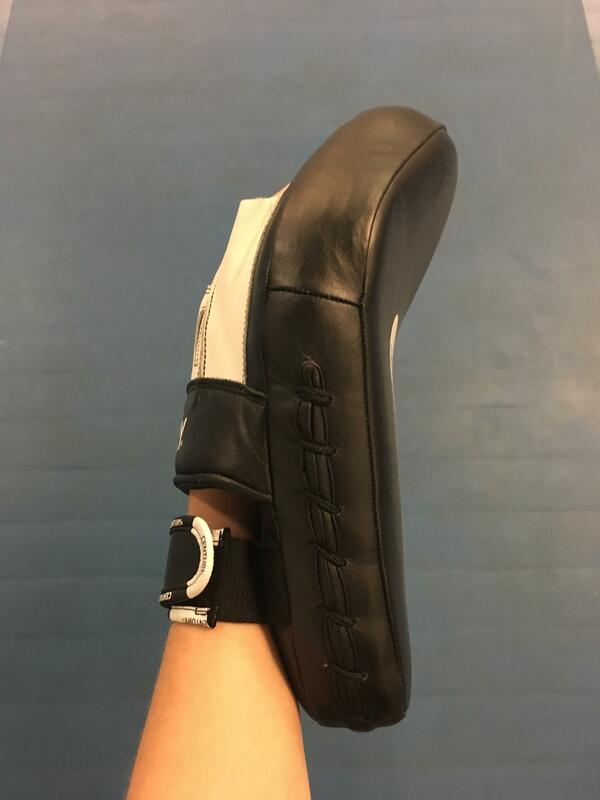 A large person kicking hard enough on Thai pads can still hurt/feel uncomfortable if the holder is much smaller – make sure partners are similar sizes! After a long round with a strong hitter, the pads can start to feel really heavy. This could also be a pro, as it’s definitely an extra workout, but not all pad holders may appreciate it! 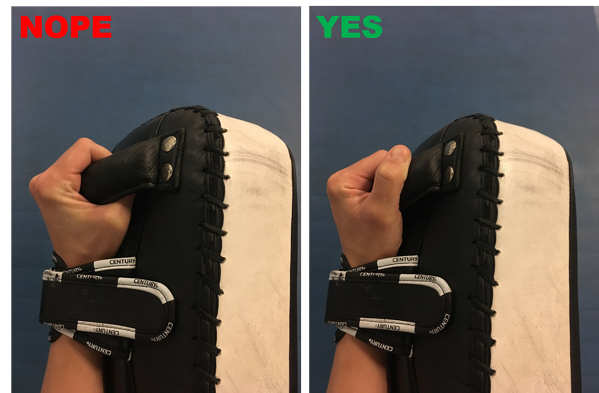 The picture above shows two different sets of focus mitts. 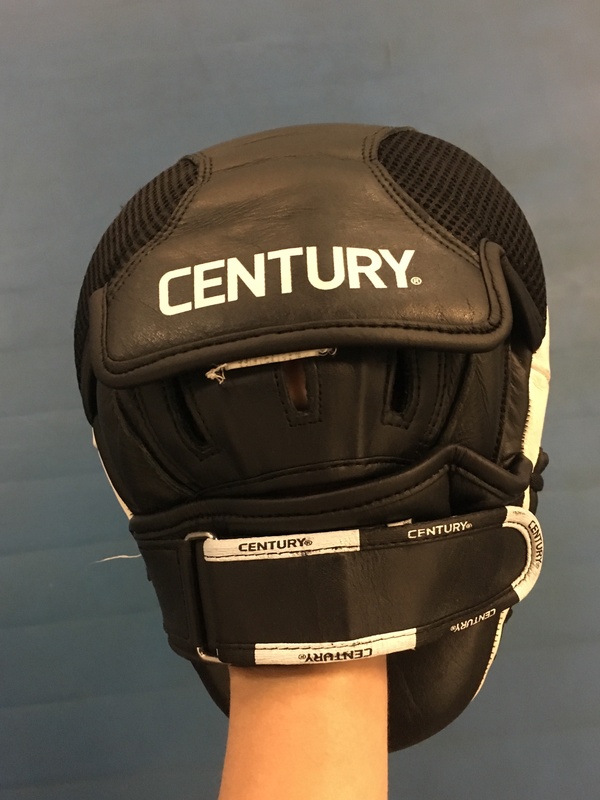 All focus mitts are smaller than Thai pads. They cover the entirety of the hand and fingers, and some of the larger ones may extend to midway up the forearm. You may already be able to tell which way I’m leaning. I have to admit, I’m a fan of Thai pads over focus mitts. Holding the pads might take a little more work, but their greater versatility and impact absorption makes them – in my mind – worth it. 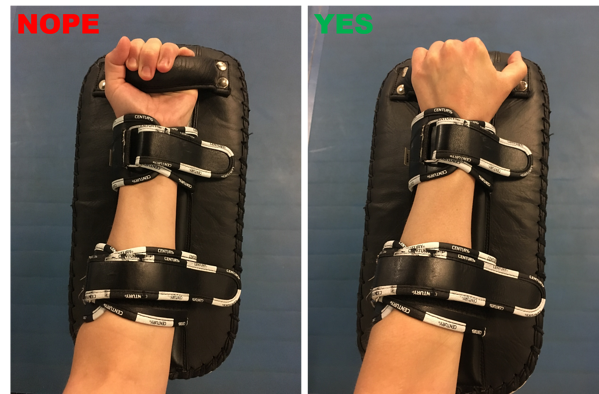 If your class is going to be boxing-only (no kicks or knees), focus mitts may be all you need. But if you want to really ramp up your cardio by adding kicks, Thai pads are your friend! BONUS: If you rearrange the order of the words, "Thai pad" becomes "pad Thai," one of the top three most delicious noodle dishes ever invented*. *Thai pads do not taste as good. Do not attempt.